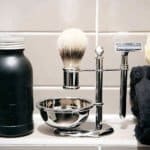 Unlocking The Joys Of Creating Your Own Pre Shave Oil If you are a tinkerer like myself, you will likely love creating your own pre shave oil right away. Let’s face it, pre shave oil is absolutely terrific and can be a great way to add in an extra layer of moisture, lubrication, and ultimately comfort into your shave routine. Sure there are definitely some men that have their reservations about its use within the morning ritual, but we here at Tools of Men absolutely love using this stuff on a regular basis. 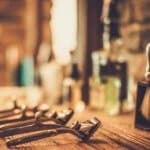 Whether its shaving your face on a regular basis or even shaving your head completely bald, pre shave oil gives an extra level of comfort and smoothness that just simply can’t be realized when using a regular old shaving cream or razor – making your own pre shave oil recipe just makes the deal even sweeter. Now when it comes to picking up a pre shave oil, sure you can definitely pick it up from your favorite boutique store OR you can make it yourself. 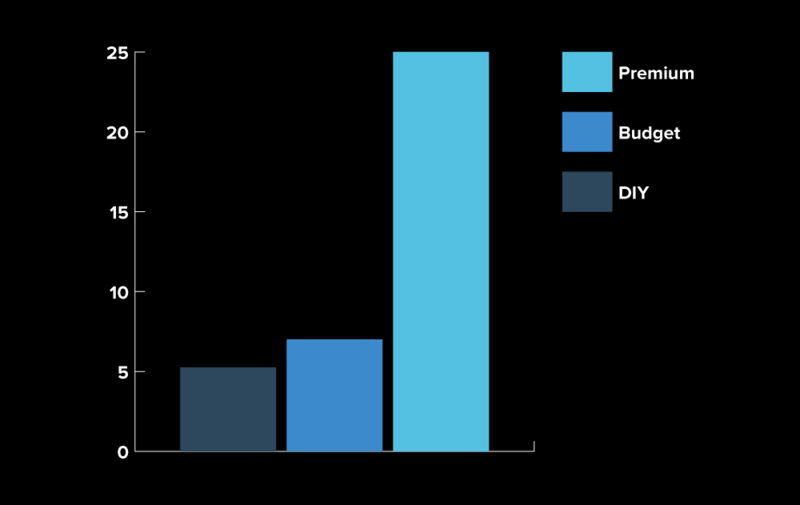 Of course, when it comes to anything in life, the whole DIY route is naturally going to be cheaper. However, while you are effectively absorbing the labor and marketing costs, you gain so much more appreciation for the product that is ultimately being made and eventually applied to your skin. I don’t know about you, but knowing every single ingredient that goes into a product and consequently using the product is far more enriching than just clicking a few buttons and having it delivered to your door with two day shipping (not to mention having just as good – if not better – quality than some of the self proclaimed “premium” brands out there). 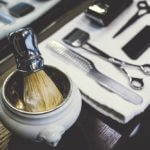 Now don’t get me wrong, convenience is great, but well, I am not made of money, so whenever I see there is a great opportunity to save a few bucks especially when it comes to mens grooming supplies I jump at the opportunity. 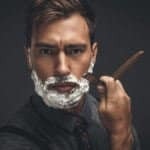 Therefore in this post, I am going to outline exactly how you can create your very own pre shave oil for a fraction of the cost. Well just a quick search, I found all sorts of pre shave oils, ranging from a budget $7 to the “premium” brand costing upwards of $25. 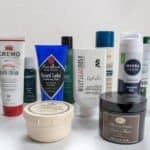 What’s crazy is that when looking at all these brands ingredients list, they are consisting of the basic core ingredients that makes up any sort of pre shave oil. They all contain carrier oils, essential oils, and (in some cases) vitamin oils, which I will cover a bit more extensively in just a moment. 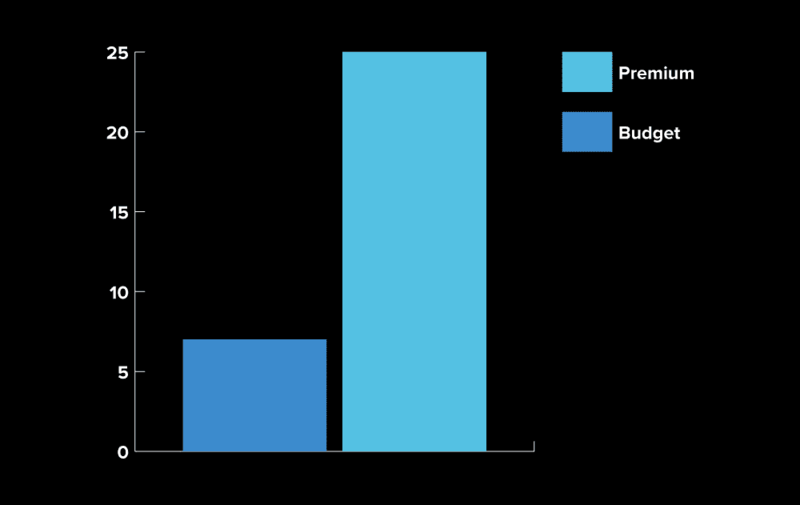 As you can see the difference in cost charted is quite substantial. I mean who wouldn’t pick the $7 oil over the $25 oil any day of the week? Especially if the core ingredients are the same. While that is all fine and dandy, how does a DIY pre shave oil weigh into this? Well before I show the cost on a per ounce basis, there is one thing that we have to be completely up front and honest about, and that is that the initial cost for a DIY pre shave oil is going to be a bit more than should you even buy the luxury bottle off the shelf. But if you think about it, that does make sense. For instance if you were to brew your own beer, you would have to pay for all the carboys, grains, yeast, hops, etc of which would cost WAY more than should you go to the local watering hole and pick up a pint. However the amount of beer that you would yield from that batch (i.e. several cases), is WAY more than you would ever get should you go to the local bar or grocery store to pick up a six pack. Pre shave oil is very much like brewing your own beer, the upfront costs might sting a bit at the beginning, but the long term savings are going to far outweigh the initial costs. So now that you can see this will directly help your bottom line on your pre shave oil costs, we are going to break down how exactly you can start to make this at home. Of all the pre shave oil ingredients, by and far the most important one is going to be the carrier oil. From the budget to the high end premium pre shave oils, carrier oils will typically make up about 90%+ of the product. Carrier oils themselves make for a terrific lubrication which makes shaving a whole lot more comfortable, but also provide a plethora of skin care benefits as well. The most important aspect of a carrier oil in a pre shave oil is the moisture that it provides to your skin. As you pass a razor of your face (head, or any other body part), if the skin is not well moisturized, it is very much prone to being nicked due to dryness. 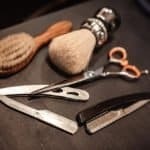 In addition to the pliability of your skin, another key consideration prior to shaving is making sure that the hair follicles are a bit more softer and swollen along with opening up the pores making it much easier for the razor to cut the follicle. This is one of the reasons why taking a hot shower is highly recommended before doing your morning shave routine. One of the most commonly used carrier oils found within a pre shave oil is going to be castor oil. Castor oil has been used in beauty and pharmaceutical products for many years and has recently seen a resurgence, especially in people who like to make their own products (men and women alike) at a fraction of the cost. A product like castor oil is great at providing a base lubrication for the pre shave oil as its a completely all natural oil derived from the castor oil plant (botanical name: Ricinus communis). Besides just being a lubricant for a pre shave oil, castor oil naturally contains undecylenic acid which is used to treat skin infections, prevent itchiness of the skin, burning, irritation, and more. But not only does it help to reduce general skin irritation, it also acts as a natural antiseptic. Which is hugely beneficial if you are prone to acne or any sort of razor bumps after shaving. While we talked extensively about carrier oils, we also need to cover another very critical oil of any pre shave oil – essential oils. While one might think that this ingredient is critical to any pre shave oil – essential oils, well, aren’t actually essential to your pre shave oil recipe. 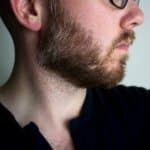 In fact, there are many men that might just use castor or a combination of a few different carrier oils as their pre shave oil, and that is completely fine! However, unless you are on a really restricted budget, you should definitely consider incorporating an essential oil into your DIY pre shave oil. Essential oils can provide an awesome, yet subtle fragrance to any pre shave oil that can either complement your cologne, or just simply give you a nice scent for a couple of ours. Whether you want a pre shave oil that smells like orange, cinnamon, sandalwood or pine, theres an essential oil that you can use that is out there for you. A word of caution though when it comes to essential oils. These oils themselves are quite potent and will only make up a small portion of you pre shave oil (less than 10%). Generally speaking, when trying out an oil for the first time, we recommend only doing a few drops of essential oils at first and then gradually add more if desired. 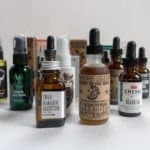 The reason for this is that in some instances, to much essential oil can cause skin irritation, which goes directly counter to the reason on why you would want to use a pre shave oil in the first place. Also we recommend trying out an oil like tea tree oil, pine, cedar or sandalwood as these generally are a bit less likely to cause any sort of skin irritation. Typically if you are to have any irritation it may come from essential oils that are derived from citruses such as lemon, grapefruit, orange, etc. Also when testing out your pre shave oil for the first time, we always recommend doing an allergy test. So just rub a little bit behind your ear or on the inside of your elbow and see if any irritability occurs. With all this apprehension about essential oils listed above, you think no one would want to use them right? In fact many essential oils come with their own set of benefits that are far above and beyond what you could come to expect within a carrier oil. For instance, one of the staple scents that you see in many types of high quality shaving creams is the use of the sandalwood essential oil. Sandalwood, of which is extremely popular in many of the high quality shaving creams on the market is a natural cicatrisant. A cicatrisant, if you are not aware, is when a product naturally helps heal and sooth the skin. In addition to soothing the skin, a cicatrisant also helps repair scar tissue as well. That’s not all, sandalwood is also a natural disinfectant. Like castor oil, sandalwood will do a great job in clearing out excess dirt and grime from your pores making for a less likelihood of razor burn and general skin irritation to occur when you finish shaving. Simply put, some essential oils can do a terrific job in providing an extra layer of comfort in addition to the carrier oils that are found within the pre shave oil. One thing that you just simply don’t see enough of within pre shave oils, and especially those that are cheaper is the use of Vitamin Oils. The reason for this is that vitamin oils actually are a bit costly (not as much as essential oils but more than carrier oils on a cost per ounce basis). Oils like Vitamin E oil unlock a plethora of benefits in addition to all the great stuff you are going to be getting from the carrier and essential oils. Vitamin E helps to actually prevent and ward off wrinkles due to its natural ability to boost collagen production which helps ensure that your skin stays elastic for longer. In addition to boosting collagen production, Vitamin E also speeds up cell regeneration that ultimately helps with new skin growth. Also if you are getting a bit up there in age, wrinkles aren’t your only worry, Vitamin E also naturally helps to lighten brown spots helping them to become a bit less noticeable. Sure these might be more age specific to the older readers, there are some really good benefits of using a Vitamin E oil for the readers on the other end of the spectrum. By and far the biggest benefit derived from Vitamin E oil is going to be its ability to naturally soften your skin and make it incredibly smooth. So if you are going for the ultimate close shave and a face that makes your face feel incredibly soft afterwards, you will definitely want to add a few drops of Vitamin E oil to your pre shave oil for maximum comfort. Many men may think that just a jelly jar that is lying around the house would make for a good container to store your pre shave oil in, unfortunately though, its probably not. While I love being thrifty as well by saving a few pennies whenever possible, the storage container of your pre shave oil is key to its long term use and ultimate shelf life. You will notice that many pre shave oils come in amber bottles – and there is good reason for this. Amber bottles are used for a variety of high end beauty products (and beer!) to block out the harmful UV rays given off from lights. The reason why this is important is that the amber glass actually protects the integrity and structure of the oils contained within pre shave oil in tact. With long exposure under UV rays, the oils will begin to lose all their great benefits in the first place. In addition to losing all the skin care benefits that we talked so extensively about above, essential oils will also start to lose a bit of their fragrance as well. While essential oils wont keep their fragrance forever, amber bottles can at the very least help lengthen it a bit more. As far as the type of amber bottle to get, the choice really is up to you. Typically you will see a few varieties to choose from. One of the most popular one will be with a dropper included (our favorite), bottles with just a screw top, and lastly amber bottles with an orifice reducer. 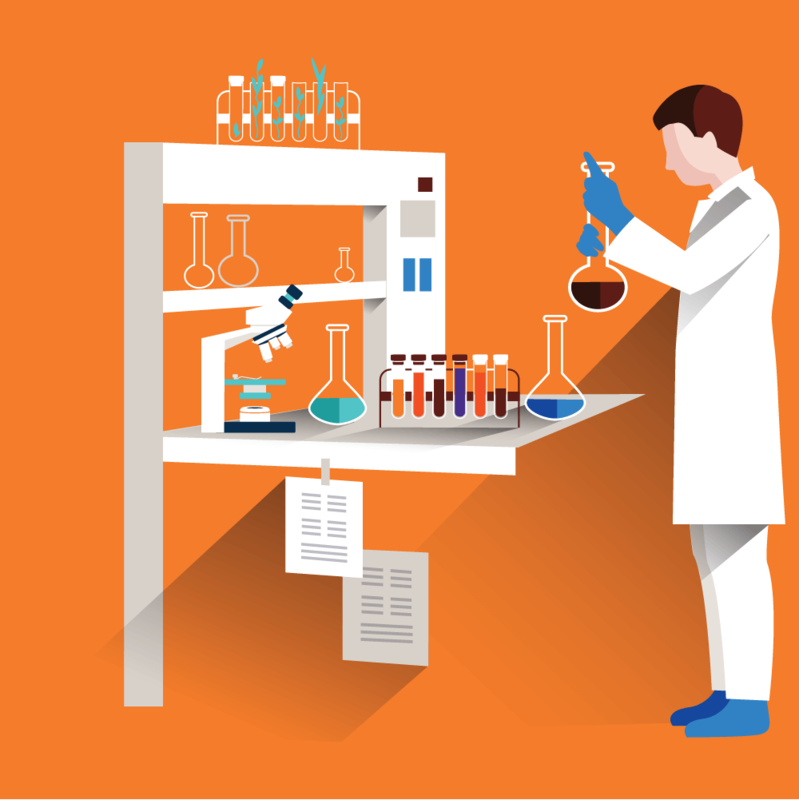 Regardless of the bottle type that you choose its critical that you also pick up pipettes in addition to the bottles. Pipettes are extraordinarily cheap and will help further preserve the scents and structure of each one of your core ingredients. 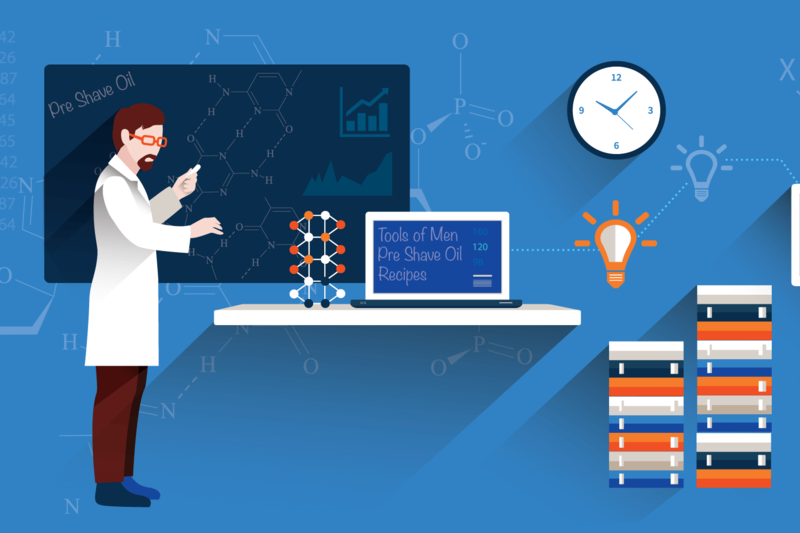 This is important because as you experiment with your pre shave oils, you don’t want to reuse the same pipette in different essential oils and carrier oils. 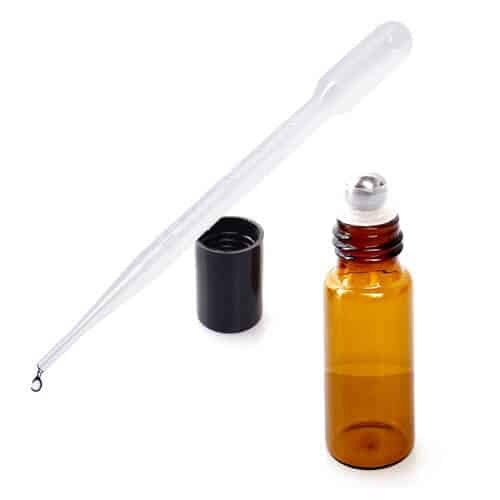 Prolonged reuse of the same pipette will cross contaminate your oils and will “muddy” the scents. Much like if you were painting a picture and never rinsed or reused the same brush time and time again, your pictures colors will start to turn brown and the final project will look very muted. So spend the extra couple of bucks and pick up the pipettes, especially if you are a heavy user of pre shave oil and will be making your own batch time and time again. As we stressed on earlier of picking up amber bottles to store your pre shave oil in, its equally critical to make sure that you also purchase carrier, essential, and vitamin oils that are also stored in amber bottles as well. While you will know the age of your pre shave oil, you will likely have no idea the age of the carrier oil that you pick up. As the old adage goes, garbage in/garbage out, the same holds true when selecting a carrier oil. There is simply know way of knowing how long that carrier oil has sat under harmful UV rays at the warehouse before you bought it. Sure you could buy the oil from a vendor with high turnover (i.e. Amazon), but still there is just simply no way you can verify the age of the product. So with that being said – shop smart and pick up the oil that comes in an amber bottle. Once you have all your ingredients, bottles, and pipettes set, there are a few things that you will want to do ahead of time. Given that this is a product that we will be putting on our face prior to shaving (and perhaps even after you are done shaving), we recommend that you sterilize your amber bottles ahead of time. To sterilize the bottles simply pour a pot of water and place it on the oven and then place your bottles into the water and then bring to a boil. You want to make sure that you follow the steps above, otherwise placing cold/room temperature bottles into a pot of boiling water may cause your amber bottles to crack due to the rapid temperature adjustment. Once they have been boiling for a few minutes, you will want to very carefully take out the bottles with tongs. Tongs with rubber ends will work better than metal as the rubber acts as a great grip on glass bottles. After you have removed the bottles from the water let them air dry either on a kitchen draining board or a clean linen cloth. Paper towels may experience some shedding making for small paper fibers likely to end up in your final product. As we have a few recipes outlined below, making the oil is extremely straight forward. Just simply place all the measured amounts of oils into the bottle (make sure you don’t cross contaminate your oils – so use one pipette for each oil), give it a gentle shake to mix them up and you are set! If you are a tinkerer like myself, you will likely love creating your own pre shave oil right away. Its fun to get your hands dirty and create something that is valuable and that will also save you a bundle of money in the long run. Sure the whole concept of creating your first pre shave oil might be a bit daunting at first, but after a few tries, you will join the league of men that love doing this stuff all the time.